A study conducted by California State University (CSU) systems in January 2018 found that 41.6 percent of students reported food insecurity and 10.9 percent reported homelessness. These results are also reflected in a recent survey of Cal Poly students that yielded similar results. It was found 26.9 percent of Cal Poly students surveyed reported food insecurity in the last year and 12.3 percent reported being homeless. Vice President for Student Affairs Keith Humphrey said the issues seen in society are the same as those seen on university campuses. “I think when you’re someone who isn’t sure where they’re sleeping tonight or sure where the next meal is coming from, or how they’re going to pay a medical expense, all of those things are absolute number one priority for the student. I don’t think one competes over the other,” Humphrey said. The food pantry at Cal Poly was introduced by PULSE in 2014 based on a need identified by students, staff and faculty. The pantry helps to directly provide food to students who experience food insecurity, according to Health Education Assistant Kimme Huntington. Each student who comes into the food pantry meets with a staff member and receives nutritional support as well as a comprehensive look at their financial aid, according to Humphrey. During the 2015-2016 academic year, 316 students utilized the pantry a total of 559 times, according to Huntington. In its second year, almost twice as many students utilized the pantry and the total number of encounters tripled. From Sept. 1, 2017 through the end of January 2018, 598 students used the food pantry. The median number of visits to the food pantry per student was five. Eighty-four percent of students who use the food pantry were juniors and seniors. From the students who were surveyed, Cal Poly was able to identify 13 students who were homeless, according to Humphrey. Cal Poly just completed a state-required study analyzing the cost of rent off-campus and found the average cost was $1,256 per month. Humphrey said students who are homeless often find living situations through couchsurfing, sleeping in their car or camping. University Housing has set aside “emergency housing” options on campus for students to find immediate shelter. “We keep a number of [empty] spaces sprinkled throughout. We don’t want to create a specific apartment that is just for students who happen to be homeless because we don’t want a stigma that is attached to that in the community. So folks don’t know [they’re homeless], they’re just a new roommate that moved in,” Humphrey said. Cal Poly Cares is a grant program for students that addresses any sort of unexpected or unplanned need, particularly around what is most clinically identified as the basic needs: hunger, homelessness, emergency medical needs and transportation. The program is supported by a number of sources. The major source of support is the Cal Poly Foundation Fund for students, which was $1 million donated personally by the foundation board of directors to help address many of these issues including homelessness. “Some of those funds allow us to hold spaces in the residence halls and apartment system for students who we find that are homeless so that we can move them into stable housing,” Humphrey said. Cal Poly Cares offers individual students grants that can be as much as $2,000 and can be received once a year, but students must have already taken advantage of all financial aid resources that are available, including loans. Several hundred students have already been awarded these grants during the two years the program has run. “I think it’s been very successful, it’s helped a lot of students in a lot of unique situations,” Humphrey said. Students, parents and other community members can donate to Cal Poly Cares to help support the cause. “Cal Poly is a community that has a lot of individuals that come from backgrounds of financial privilege and we want to encourage them to share some of that with others in the community who don’t have that same privilege,” Humphrey said. Many students who utilize Cal Poly Cares for emergency support tend to be upperclassmen and transfer students, as financial aid options tend to run out, according to Humphrey. University housing prices must increase to meet obligations, Humphrey said. Although on-campus housing costs have increased, Cal Poly maintains the lowest cost for on-campus housing in the state. This decision was initially beneficial for financial purposes, but now the university is facing some problems as residence halls get older. With the addition of the new residence halls set to open in Fall 2018, Cal Poly will be able to house approximaely 1,000 more sophomores, juniors and seniors next year. As of March 5, approximately 2,400 rising sophomores have already signed up to live on campus next year. “That’s a really, really good signal that students want to be on campus, that it’s priced appropriately for them compared to what they can find off campus, and we’re confident that we’ll fill,” Humphrey said. 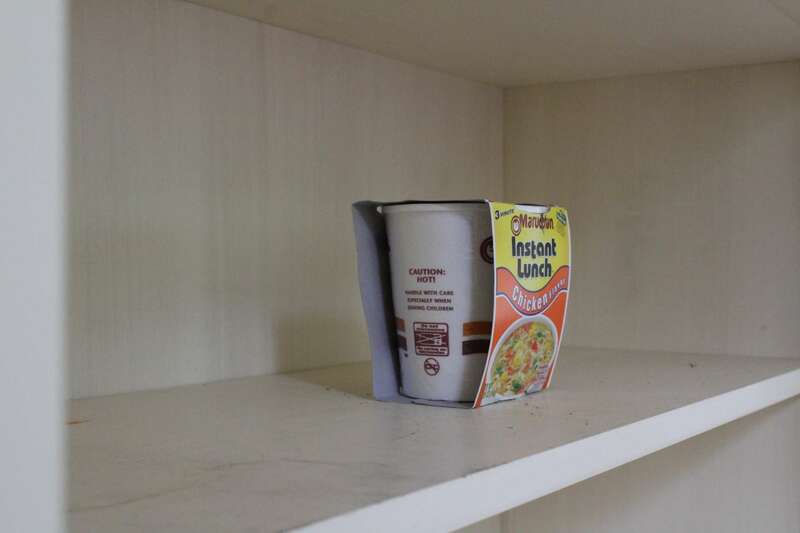 One of the ways food insecurity and homelessness can be better addressed is not only having students on campus, but keeping them on campus, Humphrey added. “It also allows us to make sure that we’re addressing issues of hunger and homelessness because we can see students, we can can make sure that they’re cared for. When students move off campus, it’s harder for us to care for them because our staff aren’t seeing them all the time,” he said. University policy will enforce that sophomores will be required to live on campus given the university has enough on-campus housing. Other colleges such as San Diego State and Ohio State already require sophomores to live on campus. “A number of larger public universities are moving in that direction because they are seeing the same thing that we’re seeing, which is the strong academic outcomes for students who live on campus a second [year], compared to students who live off-campus,” Humphrey said. Although Cal Poly is in favor of this new requirement, it is a work in progress. Although food insecurity and homelessness have shown to be issues for Cal Poly students, Humphrey said they have been better addressed in the past five years. “I think it is about things like continuing to improve scholarships and financial aid for students, doing things like building financial aid into the cost of housing. I know of no other university in the state that’s doing that right now. I’m very proud of us for doing that, making sure that the resources are available for students on campus for students so that they don’t have to go homeless,” Humphrey said.